August 31, 2017 – Record-breaking NASA astronaut Peggy Whitson and her Expedition 52 crewmates are scheduled to depart the International Space Station and return to Earth Saturday, September 2. NASA Television and the agency’s website will provide complete coverage of their departure and landing. Whitson, fellow Expedition 52 Flight Engineer Jack Fischer of NASA and Commander Fyodor Yurchikhin of the Russian space agency Roscosmos will undock their Soyuz MS-04 spacecraft from the space station at 5:58 p.m. EDT and land in Kazakhstan at 9:22 p.m. (7:22 a.m. September 3, Kazakhstan time). On Friday, Yurchikhin will hand over station command to NASA’s Randy Bresnik. As a result of the impacts of Hurricane Harvey, NASA is reviewing return plans to Houston of Whitson, Fischer and the science samples landing in the Soyuz spacecraft. The crew will participate in standard post-flight medical evaluations. While living and working aboard the space station, the Expedition 52 crew pursued hundreds of experiments in biology, biotechnology, physical science and Earth science aboard humanity’s only orbiting laboratory. Whitson is completing a 288-day mission that began in November 2016, spanning 122.2 million miles and 4,623 orbits of Earth – her third long-duration stay on the outpost. At the time of their landing, she will have accrued a total of 665 days in space over the course of her career, more than any American astronaut, placing her eighth on the all-time space endurance list. Yurchikhin and Fischer, who launched in April, will complete 136 days in space. Yurchikhin will return to Earth with a total of 673 days in space on his five flights, putting him in seventh place on the all-time endurance list. At the time of undocking, Expedition 53 will begin aboard the station under the command of Randy Bresnik. 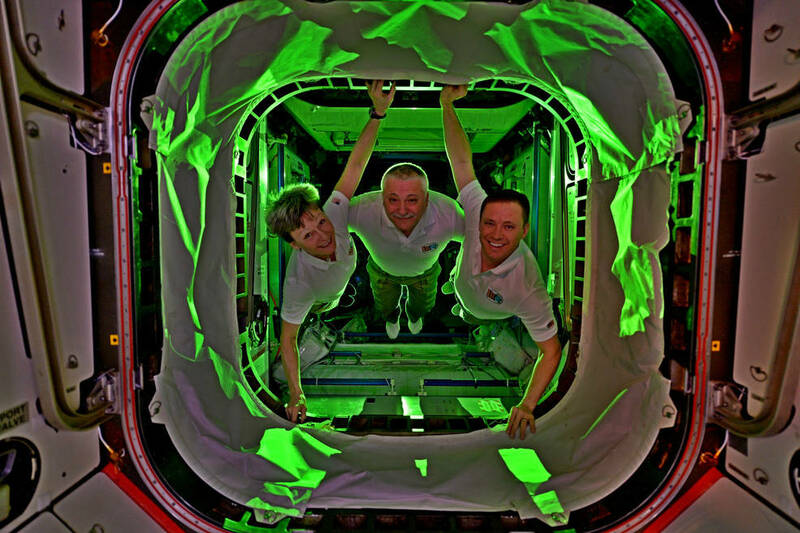 Along with his crewmates Sergey Ryazanskiy of Roscosmos and Paolo Nespoli of ESA (European Space Agency), the three-person crew will operate the station until the arrival of three new crew members. Mark Vande Hei and Joe Acaba of NASA and Alexander Misurkin of Roscosmos, are scheduled to launch September 12 from Baikonur, Kazakhstan.